Late of Harrington. Passed away peacefully on Monday 18th March 2019. Loving husband of Gay. Devoted father to Garry & Mez, Wayne, Ian & Sheree, Mark & Vickie and Karen. Loving Poppy George to his grandchildren and great grandchildren. Sadly missed by his extended family and friends. 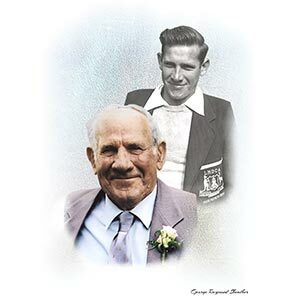 George’s Funeral Service will be held at St Peter’s Anglican Church, 32 High Street Harrington, on Wednesday 27th of March commencing at 2pm, prior to his private cremation. In lieu of flowers donations to Manning Palliative Care would be gratefully appreciated.